A water line leak could close the doors of your business for hours or even days in order to arrange for repairs. Most businesses are not in a position to turn away customers, even for a brief period of time. Early detection of a water line leak at your business could prevent this from happening. These are the signs that your water line could have a leak. If you notice one or more of them, promptly contact us and arrange for an inspection and drain line repair. Water in the street in front of your business is a potential sign of a leaking water line. The water bubbles up from the ground. It takes the path of least resistance, which may lead it to the street. You might find water in your parking lot, too. When the soil becomes fully saturated, its weight may cause it to collapse. The inversion of the soil may cause a sinkhole to develop. If you notice a depression or hole around your business, call us immediately. Sinkholes can grow rapidly, and they put the safety of pedestrians, customers and employees at risk. It is important to look around all of your company’s plumbing fixtures. Any puddles or drips around fixtures, especially fixtures located near a perimeter wall, could be a sign of a leaking water line. You might also notice puddles in the lowest level of your building. Puddles on a basement floor suggest that your business has a plumbing problem. 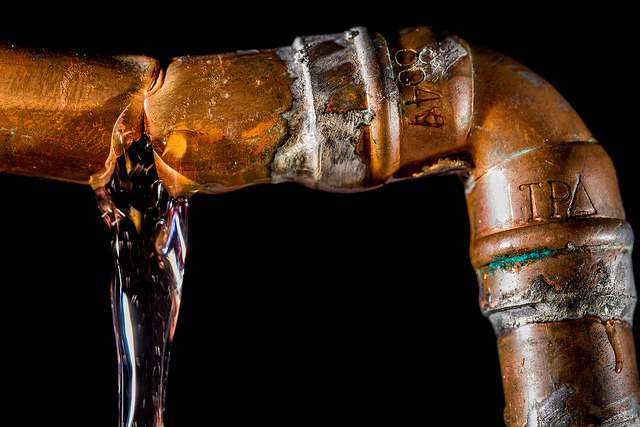 Water stains or wet spots on floors, trim or walls are also signs of plumbing problems. These signs could indicate either an indoor or outdoor plumbing leak. Our plumbers have the detection equipment to tell the difference between a leaking indoor pipe and a main water line that has a leak. Discolored or damp drywall or ceilings are also signs of water leaks. Water flows in the path of least resistance, so it could be difficult for a non-professional to figure out where the leak is coming from. An area of damp drywall could result from a leaky roof, a leak around a window or door frame or a leak in the water line. We offer inspection and leak detection services to figure out these problems. When you turn on a fixture, you might notice a low volume of water coming out or a low pressure of the water. This could mean that not all of the water in the line is getting into your building. Some of it could be leaking out through a broken pipe. Our plumbers can test for this and perform the necessary repairs. Water pushing into the foundation or concrete slab floor of your business could cause the sudden development of cracks. Water movement has a lot of force, and that force is strong enough to crack concrete. The pushing of the water is uneven, and the movement cracks the concrete. 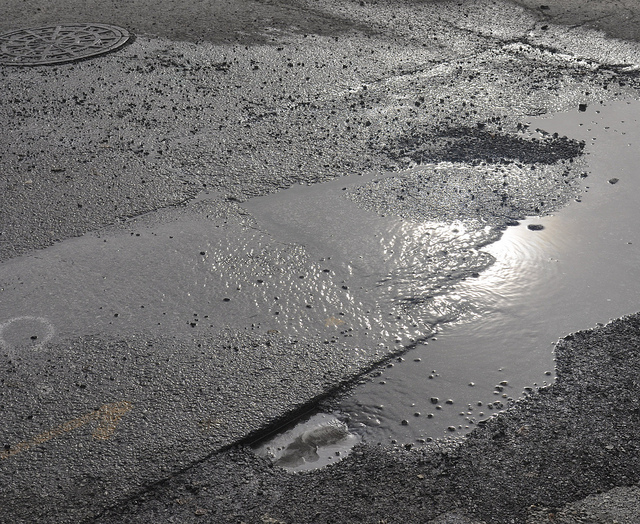 Check for puddles or dampness around any cracks. New cracks are a definite sign of a major water and plumbing problem. Most utility companies show you several months’ worth of usage. If you see that your water bill has suddenly gone up without a corresponding rate increase, look at the usage. If your water usage has increased, and there is no obvious reason why, you could have a water leak. Our plumbers can check for this by monitoring the water meter when nobody in your building is drawing water from the fixtures.